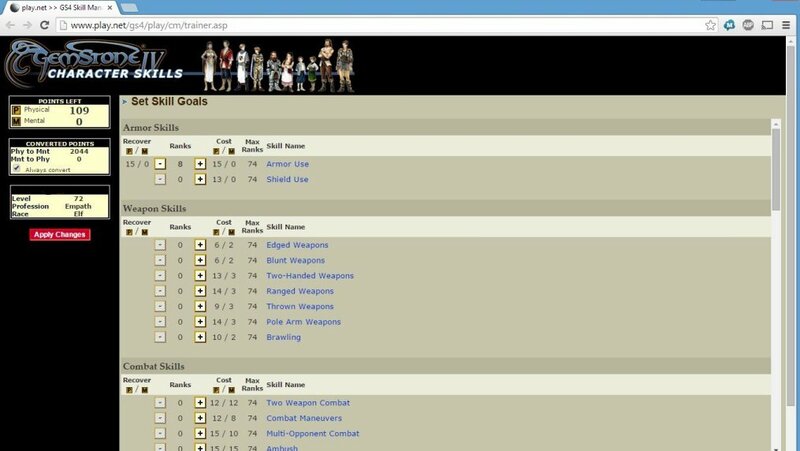 GOALS will open the default browser on one's computer to a webpage where a character's skills can be changed. In terms of training a character, this serves the same function as checking in at an inn; however, one cannot change a character's stats through this function, that must be done in an inn. This page was last modified on 11 October 2016, at 18:31.